The Rane SL 4 powered by Serato Scratch Live is the ultimate high-end solution for professional DJs – giving you the freedom to take your entire digital music collection with you on the road and equipping you with advanced features to enhance your DJing. The Rane SL 4 is the first standalone DJ interface to offer two USB ports for seamless DJ changeovers and back- to-back performances. Four switchable phono/line inputs allow you to DJ with up to four decks using the mixer of your choice. This intuitive system replicates the traditional DJing experience for “real feel” usability and performance. With unparalleled performance and stability, the Rane SL 4 for Serato Scratch Live is designed for the discerning DJ. Considering purchasing the Rane Serato SL4? Have questions? Ask people who've recently bought one. Do you own the Rane Serato SL4? Why not write a review based on your experience with it. Arrived promptly and all perfect! I've already used it for my last 3 gigs and it works seamlessly. Works better than my sl3 box strangely and I notice the sound quality difference!!! rane serato is the best software i think that has every been invented i love it and i would never change it. 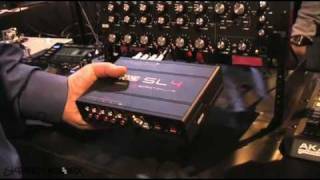 Seen a video for Rane Serato SL4 online or have you own video? 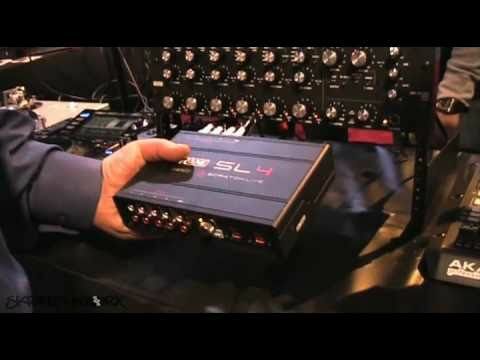 Check out Rane Serato SL4 on DJkit.com!